Naval staff is to be reduced to 300 people. One in two or namely 40 per cent of the employees of the Defence Ministry has failed test during personnel re-evaluation, minister Stepan Poltorak said during a TV appearance. "I just have no choice [but to sack them] because the people who cannot take decisions in a timely manner, who have worked for 30-40 years and did not change anything in their work, they have no future. Overall, their employment outlooks is grim. The ministry cannot not work the way it worked," the minister said on Cannel 5. He also said that he intends to reduce staff of Naval Forces down to 300 people. Curently, he said, the nation’s navy is about 11 thousand people with the Naval Staff at 500. "The Navy does not need headquarters employing more than 300 people," said Poltorak. 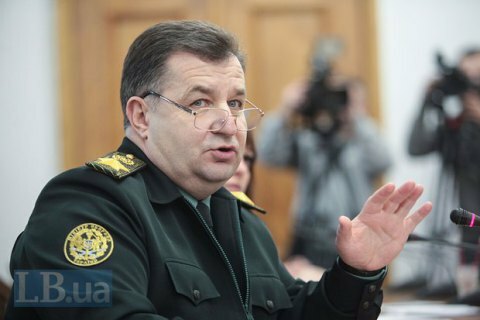 He said he expected President Petro Poroshenko is to appoint a new commander of the Navy. It should be a combat officer who will focus on the reform of the Ukrainian Navy. Earlier presidential adviser Yuriy Biryukov said 15 of the 25 top brass officers in the central office of the Ministry of Defence failed reevaluation tests. In the autumn of 2015? a third of the candidates for positions in the ministry did not pass the polygraph.